Microscopes and telescopes function similarly by letting people view objects not visible to the naked eye. However, telescopes are designed to view distant, feint objects and as such have larger lens diameters, as well as longer focal lengths and changeable eyepieces. Aside from this, both instruments utilize convex and concave glasses to magnify the object of interest. Although both devices use similar scientific concepts, their differences are central to their ability to fulfill their specific purpose. Although both instruments magnify objects so that the human eye can see them, a microscope looks at things very near, while telescopes view things very far away. This difference in purpose explains the substantial differences in their design. Biologists and chemists use microscopes, ordinarily in laboratories, while astronomers use telescopes in observatories. Although both instruments use lenses to magnify objects, the construction differs from one to the other. Focal length distinguishes between the two in a fairly straightforward way. Amazing-space.stsci.edu defines focal length as “the distance between the center of a convex lens or a concave mirror and the focal point of the lens or mirror — the point where parallel rays of light meet, or converge.” A telescope has objective lenses producing long focal lengths, while a microscope has objective lenses producing short focal lengths. Since telescopes view large objects -- faraway objects, planets or other astronomical bodies -- its objective lens produces a smaller version of the actual image. On the other hand, microscopes view very small objects, and its objective lens produces a larger version of the actual image. The focal lengths of both instruments make this possible. Telescopes and microscopes also substantially differ in the diameters of their lenses. A lens with a larger diameter can absorb lots of light, illuminating the object being viewed. Since objects viewed in a telescope are far away, there is no way for the user to illuminate the object, thus the telescope requires a larger lens diameter to gather as much light as possible from the source. Most microscopes come standard with an artificial light source, illuminating objects. 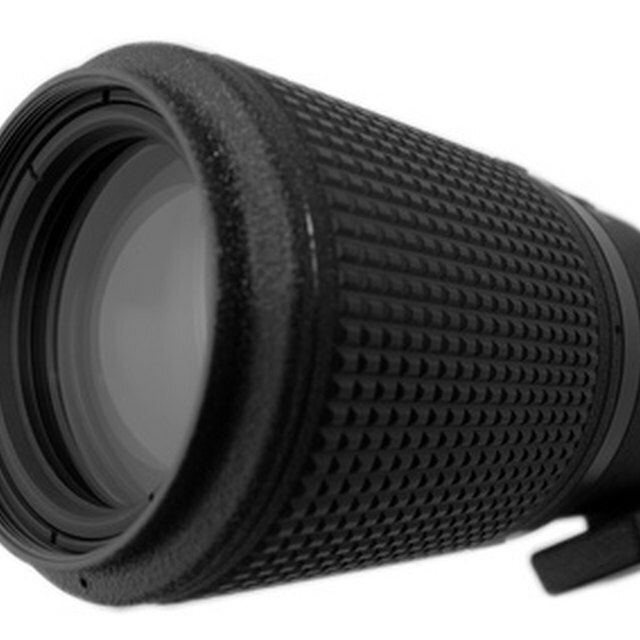 This eliminates the need for a larger diameter lens. In telescopes, you can change the eyepiece to modify image magnification, as well as style; the objective lens remains fixed. Alternatively, microscopes have fixed eyepieces and a set of three to four interchangeable objective lenses that you can set differently, changing the magnification and quality of the object. Johnson, Steve. "The Differences Between Microscopes and Telescopes." Sciencing, https://sciencing.com/differences-between-microscopes-telescopes-8515907.html. 13 April 2018.